Is there any light at the end of the tunnel for Greece? Canon Malcolm Bradshaw of Saint Paul’s Anglican Church in Athens portrayed a very bleak picture of the two humanitarian crises facing Greece when he spoke this morning at the annual conference of the Anglican mission agency USPG. Speaking in the Hayes Conference Centre in Swanwick, Derbyshire, he spoke of two crises: one facing the indigenous population of Greece, and the other facing the refugees who have arrived in Greece. Father Malcolm explained how the crisis facing people in Greece is as severe as the refugee crisis, and spoke of the surprising difficulties the Anglican chaplaincy at Saint Paul’s is engaging with. The Greek Orthodox Church is providing 10,000 meals each day in Athens. A group called the Church on the Street provides 800 meals to refugees and to Greeks in the heart of Athens. Throughout Greece, the Greek Orthodox Church is providing another 250,000 meals a day, and others are doing similar work. It was heart-breaking to hear him describe the plight and needs of schoolchildren, and he spoke of the need to provide meals for children who arrive at school starving. Many people have run out of money and have no resources, he explained. The figures show 27% of people over 25s in Greece are out of work and in long-term unemployment. The figures are worse for those who are younger: 57% of under-25s are out of work. Pensions have been cut in half, and many people do not know where their income is coming from, from one month to the next. Taxes have been raised right across the board, and VAT at 27% is perhaps the highest in the EU. People are not making ends meet, and debt is high, he said. The IMF and the EU are asking for structural reforms in country whose civil service is larger than that in UK. But this has become a throttle neck on the Greek economy, and no government in Greece is willing to tackle the civil service. By seeking another bailout, Greece is getting into further debt, and a humanitarian crisis of its own standing is getting worse. He also described how the second crisis, the crisis of the refugee population, began to emerge in November 2014. The Syrians who first arrived then were well-educated and did not want to stay in Greece, but hoped to move on to Germany. By September, 5,000 to 7,000 people were arriving on Greek islands every day, and there was no structures to cope with the influx. When winter came, people were dying in the camps of cold. The chaplaincy started providing clothes and 400-500 hot meals one day a week, with help of USPG. It was a drop in the ocean, but it was some relief. But finance became a problem with capital controls and fears that the Greek banks would collapse or that the Government would take a haircut from all account. The Anglican Diocese in Europe stepped in and turned to USPG for help. Donations need to be monitored, and since November there has been a partnership with USPG, which also provides two facilitators to work alongside chaplaincy. The money raised through the diocese and USPG has helped a number of programmes include the Lighthouse on Lesbos, where people are going out to meet people on dinghies in the Aegean, and Medical Intervention on Samos, which is providing medical and psycho-social support. The chaplaincy also works closely with Apostoli, the humanitarian wing of the Greek Orthodox Church, providing non-food relief items and a hostel for non-accompanied minors, with the Salvation Army, which is working on the streets with refugees from Afghanistan, Iran and Syria, and the Ecumenical Refugee Programme, which is dealing with family reunification in the face of complex international law that works against suffering people who are heavily traumatised. He described the plight of one Kurdish refugee on Chios who was disembowelled and how difficult it was to get money to Chios to take care of him. He spoke too of the hot meals being distributed at detention centres in Athens, and the 1,000 hygiene packs distributed this week. About 54,000 refugees are seeking to get to Germany and the Scandinavian countries, but have found themselves stuck in Greece. The processes are incredibly slow, and uncertainty destructive. There are two million refugees in camps in Turkey, who originally hoped to return to Syria, and he wonders how long they are prepared to wait in those camps. There are 54,000 frustrated people in camps in Greece, without hygiene, water, food, healthcare or respect for their dignity. When the conference opened in Swanwick last night [6 June 2016], the General Secretary of USPG, Janette O’Neill spoke in her review of the year how images of the body of three-year-old Aylan Kurdi washed up on a beach in Turkey last September changed the response to the crisis in churches on these islands. In response to the emergency appeal that was launched, a former High Sheriff of Derbyshire, Godfrey Meynell, donated a painting of Julia by Joseph Wright (1734-1797), to USPG to help Syrian refugees in Greece. Wright was from Derby and was part of the circle of the Lunar Society that included Erasmus Darwin, Josiah Wedgwood and Richard Lovell Edgeworth. The painting depicts Julia, granddaughter of the Roman Emperor Augustus, as a young woman in exile, holding out her hands in a grotto near Naples. It was painted by Wright after he travelled to Italy in 1774 and was bought by Joshua Cockshutt of Chaddesden, Derbyshire, for £105. This was the last of several works by the artist at Meynell Langley Hall, near Kirk Langley and Kedleston, and was given to the Meynell family in 1840 in part exchange for a debt. It was valued at £180,000 but was sold at auction by Sotheby’s for £550,000. Mr Meynell later said: “We’re delighted with the sale. We had a family celebration. We feel this gift comes from the whole of Derbyshire.” It seems appropriate then that USPG is back at this conference centre in Derbyshire for the first time since 2010. 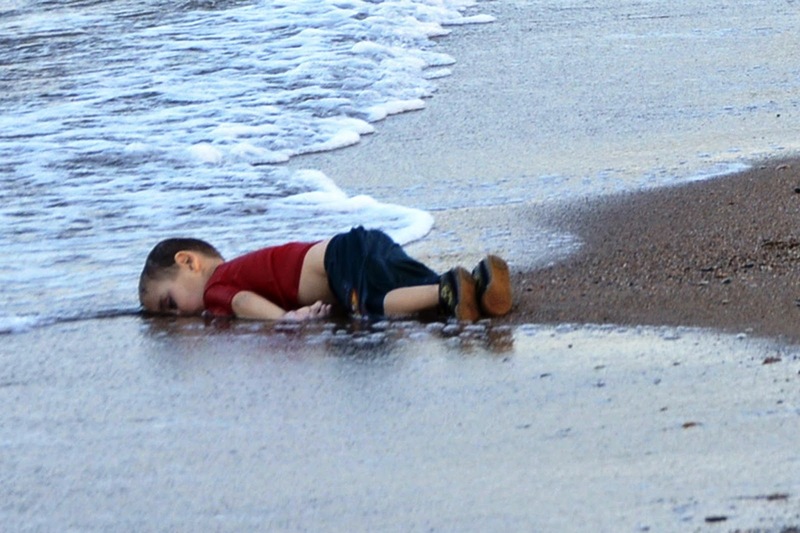 Those images of Aylan Kurdi woke up a complacent Europe until the Paris attacks, Janette said. The money raised by USPG for the Diocese of Europe and the chaplaincy in Athens is supporting work in Athens, Lesbos and Samos, alongside the Greek Orthodox Church, the Salvation Army and other ecumenical partners. Canon Richard Bartlett, spoke of his first-hand experiences of this work with refugees in Greece from his recent visits to Athens and Thessaloniki. We heard too of the shocking conditions at present in Samos, one of the five Aegean islands where refugees are arriving. In November, 87,000 arrived in Samos alone.